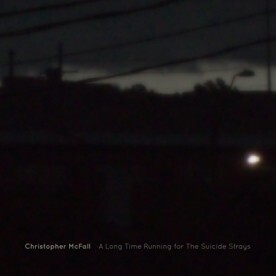 Christopher McFall is a well-known name in the experimental music scene, not only because of his CD-releases for Entr’acte, Mystery Sea, Sourdine, 1000füssler, Gears Of Sand, Moving Furniture Records and Unfathomless, but he’s also composed a multitude of netaudio-releases on Test Tube, Earlabs, Clinical Archives, Alg-a, CONV and Impulsive Habitat. What an impressive list of work. His new release on Resting Bell is a lovely EP called “A Long Time Running for The Suicide Strays“. 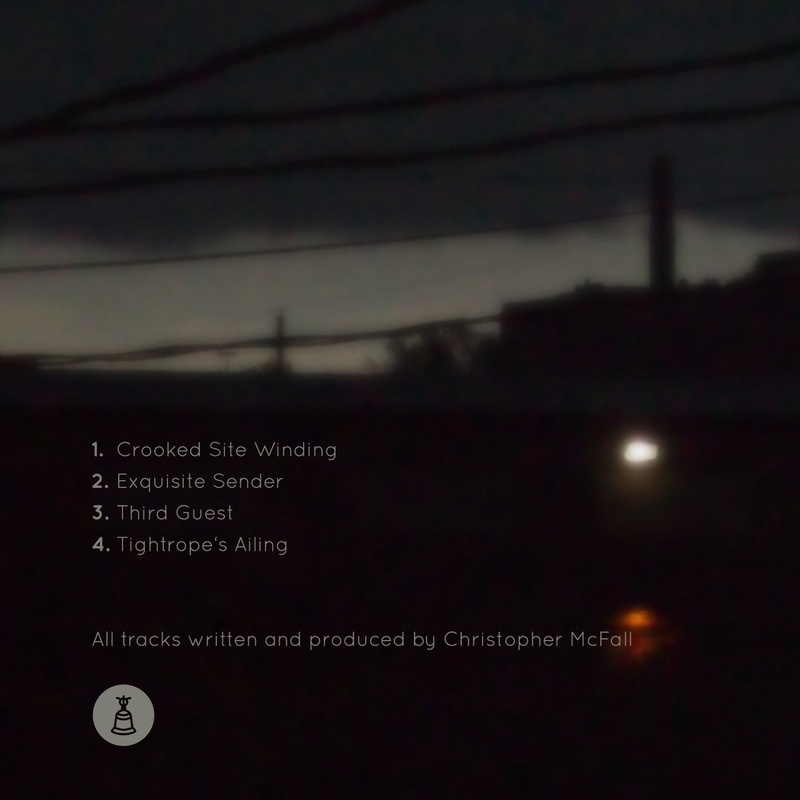 It consists of 4 tracks with a complete duration of 25 minutes. The EP starts with very rhythmic fragments, bringing to mind notions of old machines covered with dust and then it evolves into a more droning environment. The sound is really dark and harsh. The rhythmic elements seem to be hammering from a distant time and the melodies are haunting through old and frazzled drapery. If I had to describe a room for this music it would be an old abandoned factory-building or vaudeville-theatre. Christopher has assembled all of these elements together very carefully and in a sublime manner. For me it is hard to say whether the source sound materials are derived from field recordings, piano fragments or some saxophone-sounds. As a whole, the EP has a very dense and atmospheric composition. Enjoy the days of fall with this wonderful release.